Detroit bred / LA based producer Kenny Larkin has long been a force to be reckoned with, both in the studio and in the DJ booth. For over 2 decades this giant has supplied us with some of the deepest, most soul touching and verdant techno sounds the scene has ever presented. Larkin's music is always awash with human emotion, his machine tinged expressions hark back to the true sources of techno music where man always met machine and the soul was inherent. 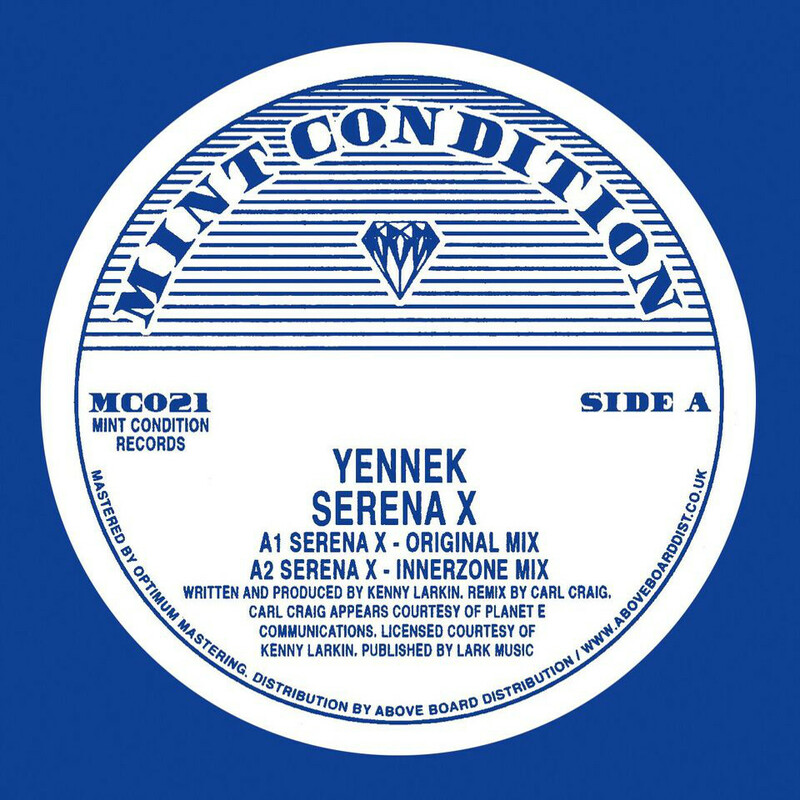 'Serena X' always sounded like it had been beamed back to us, even in 1992 when she first appeared, bolstered by a classic remix from fellow Detroit techno auteur Carl Craig that saw C2 firmly innerzoning and adding in some trademark stellar chopped-up breaks to the mix. Both of these now classic and monumental tracks are included here, on this reissue, backed by the towering melodic workout that is 'Empirical Reality'. These tracks all stand tall today, a testament to the forward thinking style of Mr. Larkin. 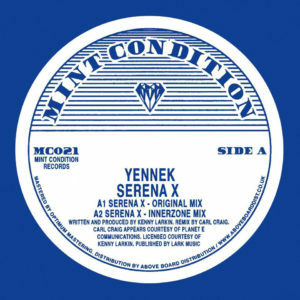 Remastered from his own source materials and with his full involvement, it's a pleasure to welcome 'Serena X' back into the ears and minds of today's listeners. 'Serena X' has been legitimately released with the full involvement of the rights holders and Atlantic Records and remastered by Bristol's Optimum Mastering from the original sources especially for this release. 100% legit, licensed and released. Dug, remastered, repackaged and brought to you by the caring folks at Mint Condition!